A circular file (aka RingBuffer file). As the name suggests, this file is re-usable in a circular queue fashion, and is pre-created when the server starts. The size of this file is preconfigured and can’t be changed dynamically, so selecting a proper size for this file is important. Write-sets are appended to this file and, when needed, the file is re-cycled for use. If the transaction write-set is large enough not to fit in a RingBuffer File (actually large enough not to fit in half of the RingBuffer file) then an independent page (physical disk file) is allocated to cache the write-sets. Page with standard size: As defined by gcache.page_size (default=128M). Page with non-standard page size: If the transaction is large enough not to fit into a standard page, then a non-standard page is created for the transaction. Let’s say gcache.page_size=1M and transaction write_set = 1.5M, then a separate page (in turn on-disk file) will be created with a size of 1.5M. keep_pages_size defines total size of allocated pages to keep. For example, if keep_pages_size = 10M then N pages that add up to 10M can be retained. If N pages add to more than 10M, then pages are removed from the start of the queue until the size falls below set threshold. A size of 0 means don’t retain any page. So in short, both condition must be satisfied. The recommendation is to use whichever condition is applicable in the user environment. Where are GCache files located? 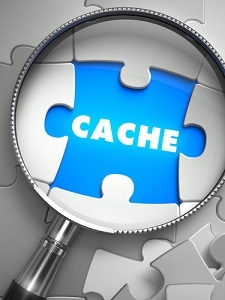 The default location is the data directory, but this can be changed by setting gcache.dir. Given the temporary nature of the file, and iterative read/write cycle, it may be wise to place these files in a faster IO disk. Also, the default name of the file is gcache.cache. This is configurable by setting gcache.name. What if one of the node is DESYNCED and PAUSED? If a node desyncs, it will continue to received write-sets and apply them, so there is no major change in gcache handling. If the node is desynced and paused, that means the node can’t apply write-sets and needs to keep caching them. This will, of course, affect the desynced/paused node and the node will continue to create on-demand page store. Since one of the cluster nodes can’t proceed, it will not emit a “last committed” message. In turn, other nodes in the cluster (that can purge the entry) will continue to retain the write-sets, even if these nodes are not desynced and paused. How about setting gcache.dir to a RAM-disk? Has it been tested? Any caveats? Should work. No known issues. I normally use the same for my local testing. * If the transaction write-set doesn’t fit the gcache then a gcache page is created. Next transaction write-set that doesn’t fit gcache size will be check if the existing page can accommodate it before creating a new page. i tried to change the wsrep_provider_options=”gcache.size” to wsrep_provider_options=”gcache.size=1G”, but it is still 128MB after I reboot the cluster, why doesn’t it make 1GB of it? it looks like it ignores this parameter, are there other parameters I need to change to make this working correct? but let me add that you can get both the setting working. …..gcache.dir = /opt/projects/codebase/pxc/installed/pxc57/pxc-node/dn1/; gcache.freeze_purge_at_seqno = -1; gcache.keep_pages_count = 0; gcache.keep_pages_size = 0; gcache.mem_size = 0; gcache.name =xxxxxxx/galera.cache; gcache.page_size = 128M; gcache.recover = yes; gcache.size = 1G;…..
As you can see gcache.size = 1G and recover=yes too.